Hearing or seeing news on house damage as the result of a natural disaster such as an earthquake or flood is becoming a regular occurrence in New Zealand and, in fact, worldwide. Builders are at the centre of this. If you’re doing earthquake (or other disaster) repairs, even though your work may be done legitimately without a consent, your LBP status is still at risk if your work is found to be substandard. The Christchurch earthquakes exposed problems with the repair system that has let down thousands of homeowners. And while EQC has questions to answer regarding its approach to prioritising speed over quality, this has also brought into sharp relief inherent cultural problems within the building industry that are seen every day – just not quite as pervasive as in Christchurch. How can it be that our industry accepted such a huge number of sub-standard repairs done to people’s homes? These are our families, our friends and our neighbours – and yet the industry’s focus in many instances was in making money, not looking after people. We’ve summarised some of the history and content from various sources focusing on the quality issues of post-disaster house repairs, starting with the most detailed reviews by the Auditor-General. Continue to improve its approach to auditing repairs in the home-repair programme so the Commission is well-informed about the scale and type of repair quality risks, can mitigate those risks where possible, and can match the resourcing of its quality assurance processes to the significance of those risks. Site monitoring was carried out by contract supervisor staff. Monthly auditing of about a quarter of all completed repairs against repair work standards set for the programme. EQC started a post-repair completion survey in February 2013 that it intended to regularly administer. A quality assurance team was set up in March 2013 to review quality concerns. This team receives referrals from the complaints management process. As at December 2012, quality controls were “yet to be fully embedded”. The controls for ensuring compliance with the Building Code were not consistently followed. There were risks with the accreditation process because there was no centralised database containing all of the data relevant to contractors. The issuing of performance improvement notices (or PINs) to contractors had not been centrally recorded for most of the programme, with only six contractors (out of about 1200) losing their accreditation. 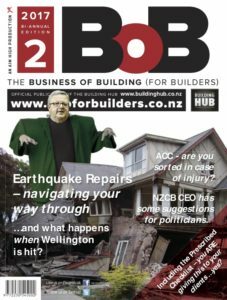 Earthquake Commission: Managing the Canterbury Home Repair Programme — follow-up audit. We found it difficult to assess EQC’s overall performance in managing repair quality, even though EQC has improved its understanding of repair quality. EQC’s survey of customer satisfaction immediately after repairs have been completed shows high levels of customer satisfaction with the quality of repairs. An MBIE report dated August 2015 into Canterbury residential repairs was based on 101 homes randomly selected from more than 2,700 addresses provided by EQC, Housing New Zealand, Southern Response and IAG. 90 of the 101 homes met the repair criteria for exemption from council inspection and of these 32 had structural repair work carried out that was non-compliant with the Building Code — 30 were “jack and pack re-levelling”. An additional 23 homes were assessed as having minor repair defects. A further finding was that the repair work to at least nine of the 32 non-compliant homes was supervised by a Licensed Building Practitioner that MBIE is now investigating. Adrian Regnault, GM Building System Performance, MBIE said “The level of non-compliance is disappointing. ‘Jack and pack’ is a relatively simple repair job when done correctly and properly supervised. More complex structural repairs inspected in the survey were generally done well, which suggests some corners were cut on the smaller jobs and they lacked adequate supervision and oversight. The report included a further recommendation for agencies and/or their PMOs to review all completed repair work that has been exempted from a building consent, targeting houses where the repair works involved jacking and packing, to ensure Building Code compliance. Some 167,000 homes were damaged by the earthquakes which struck Canterbury in 2010 and 2011, and about 70,000 houses were repaired without a building consent as they did not require consent under the Building Act. “There was no third-party scrutiny of the repairs, and a lot of those were very significant repairs,” Mr Webb said. “There’s continuing research being done and an alarming proportion simply didn’t comply with the Building Code. The act allows replacement without the need for a consent provided the replacement is not substantial,” and Mr Webb said some builders had been “pretty enthusiastic” with their interpretation of substantial. Mr Webb said the issue is not confined to repairs that didn’t require and gain a building consent, with some cases of consented work also defective. A shortage of qualified people who can properly identify damage done to houses by the quakes meant some “hopelessly unqualified” people had assessed damage, meaning inadequate repairs have been done. We were horrified at these statistics – twice as many failures as passes and these only related to underfloor work. Surely the red flag should have gone up at this stage – and what about repairs to other normally consented damaged structure work such as the framing and the roof? Under a normal situation you can’t even remove internal linings to insert insulation without a building consent so why an exemption to such a wide range of repairs including structural repairs on earthquake damaged buildings? Sir Maarten Wevers also told the committee there were a number of assertions in Mr Webb’s petition that he “would certainly not concur with” and the hurdle for calling a royal commission was quite high. So – speed over quality is the driver. This website was established in May, 2016, following a Declaratory Settlement between EQC and the EQC Action Group and its formation is obviously from ongoing concerns about EQC’s performance. “Ensure that EQC meets its obligations under the Earthquake Commission Act 1993. The project intends to achieve its goal by working with central and local body representatives such as legal, insurance, land, engineering, surveying, and quantity surveying professionals; as well as building-industry practitioners and tradespeople. Their terms of reference are to be applauded and from some of their own research and reports they have initiated (that are on their web site), quality issues are high on their agenda. They provide an excellent summary of recent history surrounding this issue. It’s interesting their board is made up of business and legal personnel and their suggestion that if you have a question, or need assistance then we suggest a ‘first port of call’ might be Community Law (www.canlaw.org.nz). They have a unique email address, info@eqcfix.nz, a process for insurances claim questions through an ‘Ask us’ form link, and an opportunity to share information about EQC anonymously through their special form. They are funded by donations and provide a focused source of information and sharing. However, because of their legal links, any supporting influence may well cost any inquirer in the long run. The service has empowered homeowners to move forward. The key fundamental is to give them the skills they need to engage with insurers. But, while it’s great that this support is now available, there’s still the difficulty with the quality repair issues which again are not specifically covered on this site. So where does the Government stand in all these problems? “Construction ‘cowboys’ who did shoddy repairs for EQC will have to pay for their mistakes,” Gerry Brownlee said in August 2015. “I believe the report as a whole is unbalanced at times and doesn’t compare CERA with other recovery agencies or post-disaster experiences worldwide”. The Minister, September 2016, was “concerned and annoyed” after the Earthquake Commission (EQC) failed to pick up 2200 extra requests to re-repair damaged Christchurch properties. This followed an internal review that revealed EQC’s system had not correctly interpreted some of the data held across EQC and Fletcher EQR. So, while the Minister has responded to issues as they get raised, the resulting new legislation still doesn’t adequately address the issue of standard of repair. In December 2016, The Government drafted three new Bills in the wake of the magnitude 7.8 earthquake on 14 November to ensure affected communities can respond quickly and efficiently to disaster. This legislation recognises the extraordinary situation faced by earthquake-affected communities, particularly in the Kaikoura and Hurunui districts. A Beehive media release dated 26 June 2017 stated that after the next disaster, claimants will be able to go to their private insurer in the first instance. The insurer and the claimant will find a suitable repair strategy, and the insurer will then go to EQC for coverage of the first $150,000 in cost. In July 2017, government introduced new legislation relating to the identification and handling of earthquake prone buildings. This sets out the responsibility of the Territorial Authority and the building owner but this is not related to the standard residential building. We feel this statement falls short of ideal and on the statistics of quality issues identified we interpret this as Mr Wevers basically accepting that shoddy repair work may result if the work is to be done quickly. EQC disputes this and says the quote was taken out of context, but didn’t supply additional context for us to include. Without that, it’s hard to interpret Mr Wevers’ comment in any other way. “‘Another reason poor underfloor work was being completed was because the Government signed a contract with Fletcher EQR ridding it of responsibility for poor repair work,’ Craig said. The agreement between EQC and Fletcher Construction, signed in 2011, stated Fletcher was not responsible for the design of any works, the construction of any works or work of any contractor or consultant. 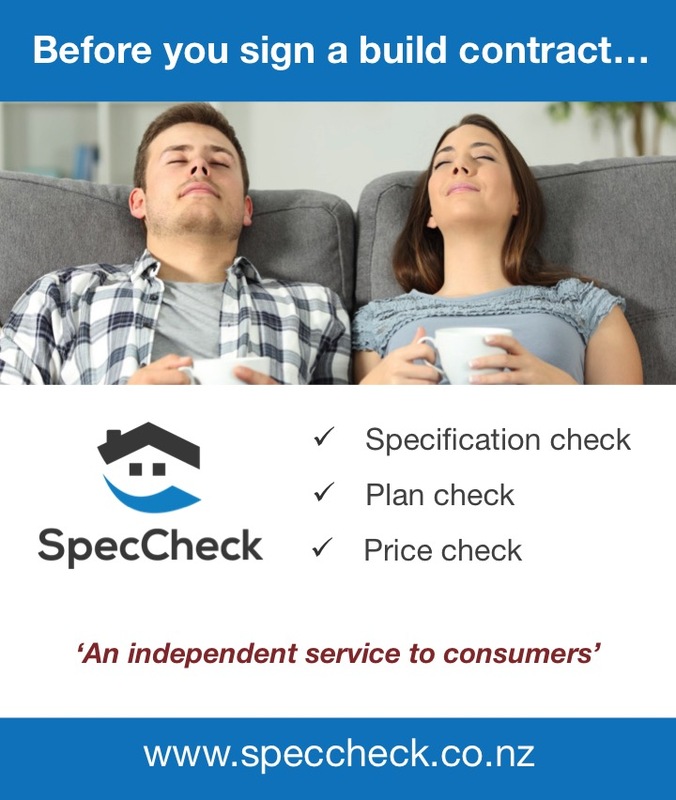 From my brief research there are a couple of current but not clearly identified options for the builder (or homeowner) to ensure the quality of their repair work is monitored. Firstly, even if the disaster repair building work is exempt, you can still choose to apply for a building consent and The Building Consent Authority (BCA) must process your application – there’s anecdotal reference to EQC over-riding this option so maybe this needs to be checked out! Secondly, if you are a building owner and are unable to obtain a consent because building work has to be carried out urgently, you can still apply to the BCA for a Certificate of Acceptance as soon as practicable after you have completed this work (under section 96 of the Building Act). We believe this means you can action repair work immediately as it can be checked later. As a builder, you may be called in to do disaster repair work and passing this information to a client would be most helpful and re-assuring to them. It will also improve your status by your client knowing that your work will be of a standard and quality that expects inspection through the full consenting process. Earlier in this article we made reference to a request for a Commission of Inquiry into concerns about the quality of disaster repairs being made without a building consent. We have also identified numerous other reports and information that supported and justified this concern. If there is pressure on you as a builder not to follow the consenting process, ask ‘Why?’ — but more importantly, insist on a robust quality control/post or staged work inspection of some sort before sign-off. While it’s easy to shrug this off and say ‘but it will probably never happen in our area’, the one thing even the disaster experts agree is that disasters will continue to happen everywhere, as evidenced by EQC continuing to settle 5,000 to 8,000 natural disaster claims it receives on average every year, right around the country. The big question is, will the government continue to allow earthquake and disaster damaged house repairs to structural and other restricted building work that normally requires a building consent to continue without any quality control inspection process? If not, then why not, when the statistics referenced in the various articles above all highlight the extent of the risk of doing nothing? Maybe Master Builders and Certified Builders should be challenged to lead the way in making changes as to how their members must operate in such circumstances. Why not start discussions between the construction industry, the insurance industry, EQC and consumer representatives? Agree on putting something in place that can apply to current or at least future claims and avoid a repeat of the numerous complaints about quality issues that previously occurred in Christchurch as disasters will continue resulting in repairs to the residential sector. So where do builders stand as repairers of future disaster damage? Systems and processes that will identify and eliminate the “cowboys”. As a builder looking at setting up a process to action earthquake or disaster repairs, you want a system that allows you to be able get on and complete your job efficiently and effectively, to be realistically reimbursed and that the outcome is to the satisfaction of all parties – and maintain a commitment to quality work.